Biotechnology Calendar, Inc. events are popular with both researchers and exhibitors because we provide a comfortable atmosphere to discuss the latest life science equipment and research news. 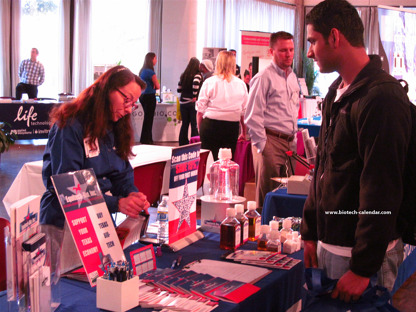 Not only are our events great for marketing laboratory products and networking with others in the life science field, but they are a great way to learn more about your company’s customer base. Our events are only a short walk away from the lab or the classroom, so attending is convenient for researchers. The free, catered lunches we supply at every event also offer a delicious reason for researchers to stay through the whole event and talk about their work, new technologies and their lab supply needs. Lab suppliers working to meet researchers and market life science solutions in Texas may be interested in the latest funding statistics at Texas A&M University. In 2012, Texas A&M received $42.2 million from the NIH. This funding was distributed among 145 projects across various life science disciplines. In addition to receiving research funding from the NIH, Texas A&M University also received $15.8 million from the NSF in 2012. For more NIH and NSF funding statistics on Texas A&M University, including a breakdown of departments receiving NIH funding organized by department name, number of awards received and total funding awarded, please read our article $58M in Funding for Potential Lab Sales Leads at Texas A&M. Given these NIH and NSF funding statistics, Texas A&M University is a great place for lab suppliers to meet researchers and market life science solutions. If you are a lab supplier interested in networking with others in your field at Texas A&M University life science marketing events, Biotechnology Calendar, Inc. invites you to attend our annual College Station BioResearch Product Faire™ Event held on the Texas A&M University campus on January 29th, 2014. 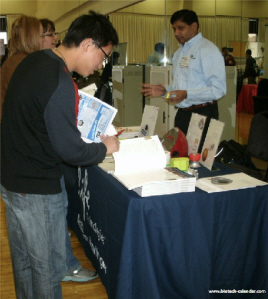 Last year, the College Station BioResearch Product Faire™ Event attracted 128 attendees. Of the attendees, 22 were purchasing agents, professors and post docs, and 18 were lab managers. The visitors came from 33 different research buildings and 36 departments across campus. Biotechnology Calendar, Inc. is a full-service science research marketing and events-planning company that has been organizing life science marketing events at top research institutions nationwide for 20 years. If you are interested in working to meet researchers and market life science solutions at life science marketing events closer to home, we encourage you to view our 2013 calendar of events and 2014 calendar of events. For more Texas A&M University research funding statistics, or to learn more about the College Station BioResearch Product Faire™ Event, click on the button below.